The best students awards were assigned to Ankita Shukla, (IIIT- Delhi) for her paper Distance Metric Learning by Optimization on the Stiefel Manifold and Adam Duncan (Florida State University) for his paper Geometric Analysis of Axonal Tree Structures. This workshop will focus on problems and approaches in computer vision that involve Riemannian geometric computing. Recent interest in this area has resulted in Riemannian geometric principles being applied in problems such as face recognition, activity recognition, object detection, biomedical image analysis, and structure-from-motion to name a few. Besides being mathematically appealing, Riemannian computations based on the geometry of underlying manifolds are often faster and more stable than their classical counterparts. Over the past few years, the popularity of Riemannian algorithms has increased several-fold due to their successful application in many hard computer vision problems (noted above). Some of the mathematical entities that necessitate a geometric analysis include rotation matrices (e.g. in modeling camera motion), stick figures (e.g. for activity recognition), subspace comparisons (e.g. in face recognition), symmetric positive-definite matrices (e.g. in diffusion tensor imaging), and function-spaces (e.g. in studying shapes of closed contours). Applications: medical imaging, graphics, biometrics, activity recognition, bioinformatics, etc. Anuj Srivastava is currently a Distinguished Research Professor of Statistics at Florida State University in Tallahassee, FL, USA. 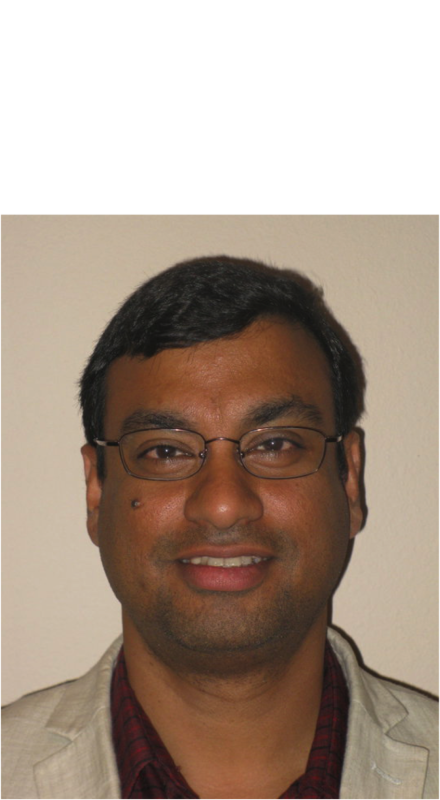 Professor Srivastava has an outstanding publication record in the areas of statistics and computer vision including numerous publications in top-tier statistics and IEEE journals as well as highly selective computer vision conferences. He is a Senior Member of the IEEE and an IAPR fellow. He has received numerous awards including several best paper awards at conferences and workshops, the Developing Scholar Award, the Graduate Faculty Mentor Award, and the Fullbright Award. He has received funding from the National Science Foundation, National Institutes of Health, Office of Naval Research, Air Force Office of Scientific Research and Army Research Laboratory. Professor Srivastava’s main research interests lie in the area of statistical image understanding with a focus on fundamental issues. He is well known for his contributions to the field of statistical shape analysis.